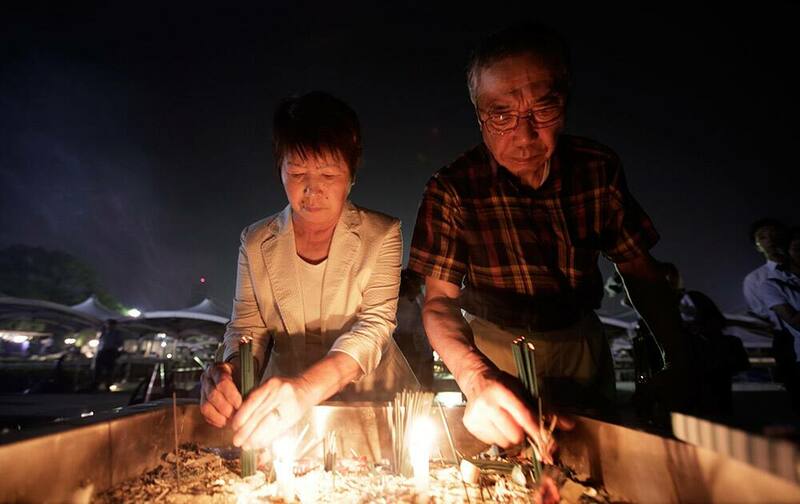 People burn joss sticks in front of the cenotaph for the atomic bombing victims before the start of ceremony to mark the 70th anniversary of the bombing in Hiroshima, western Japan. 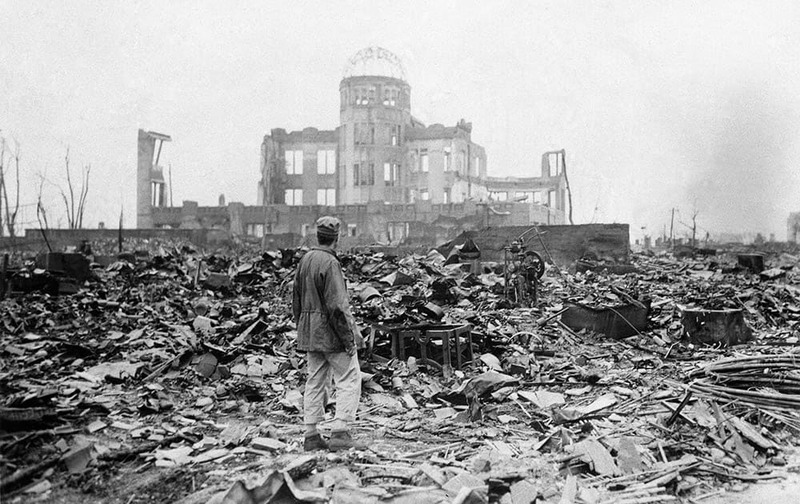 The Hiroshima bombing and its aftermath ultimately claimed about 140,000 lives, helping to draw to a close the deadliest conflict in history and, for better or worse, usher in the atomic age. 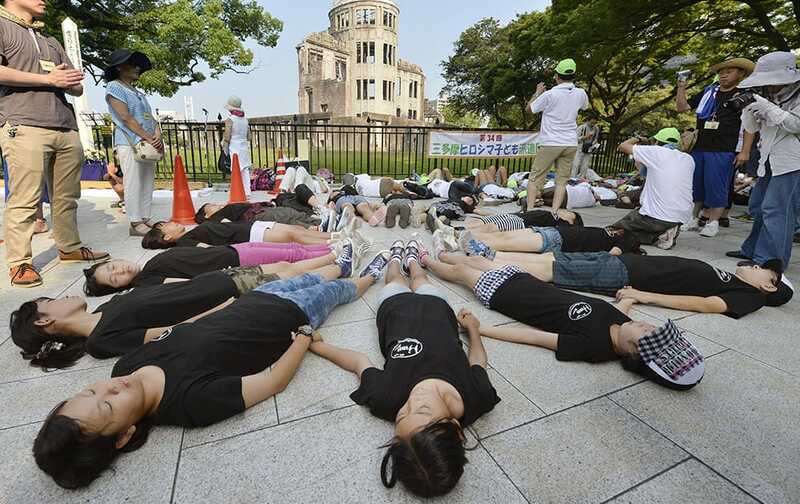 Children stage a die-in in front of the Atomic Bomb Dome in Hiroshima, western Japan at 8:15am, the time atomic bomb exploded over the city, on the 70th anniversary of the atomic bombing of Hiroshima. 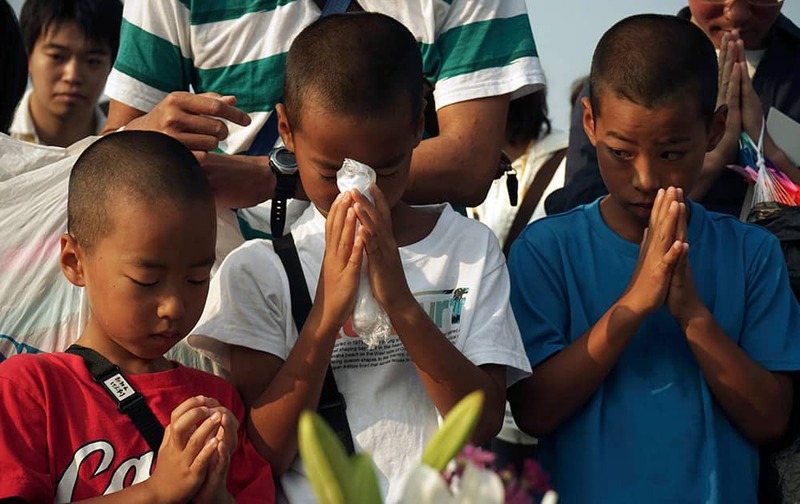 Buddhist monks pray for the atomic bomb victims in front of the cenotaph at the Hiroshima Peace Memorial Park in Hiroshima, western Japan. 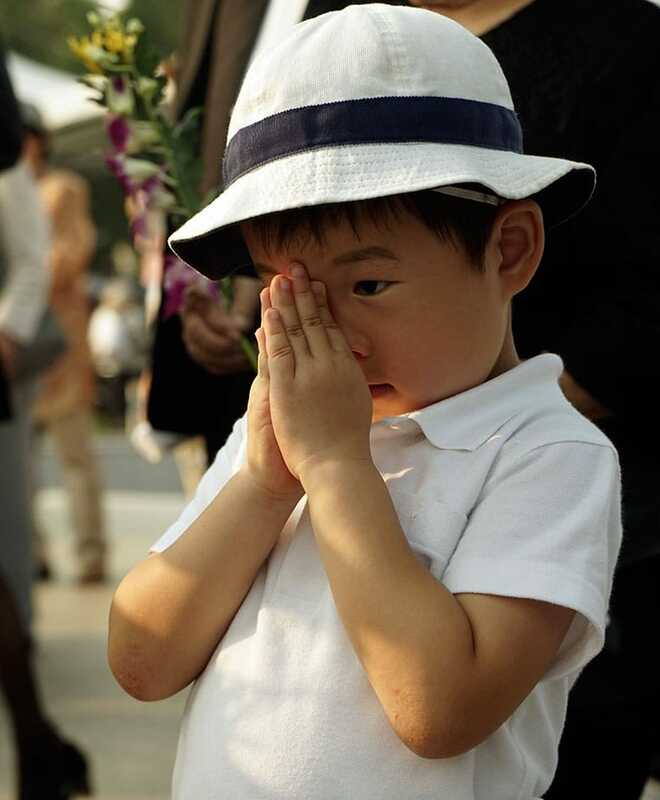 Visitors pray for the atomic bomb victims in front of the cenotaph at the Hiroshima Peace Memorial Park in Hiroshima, western Japan. 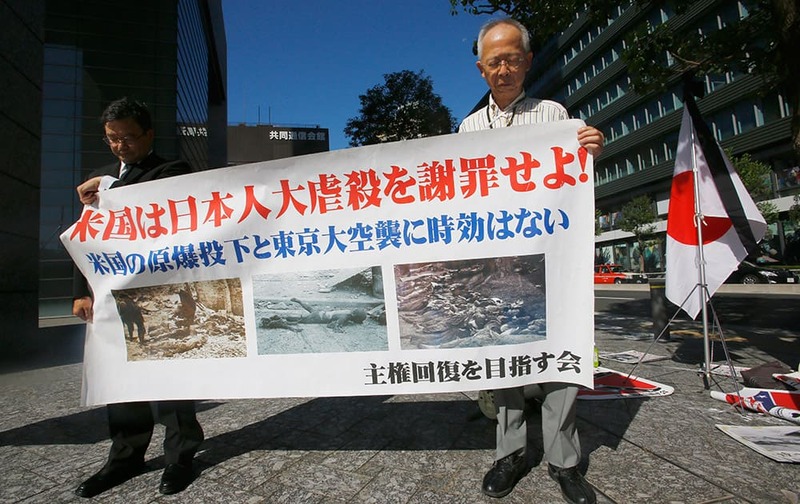 Members of a rightist group offer silent prayers for the victims of the atomic bombing with anti-US banner near the US Embassy in Tokyo. 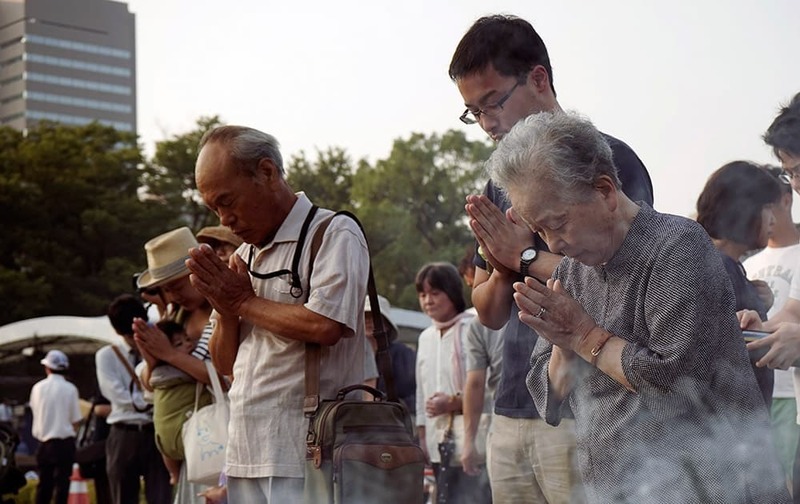 Japan marked the 70th anniversary of the atomic bombing of Hiroshima. 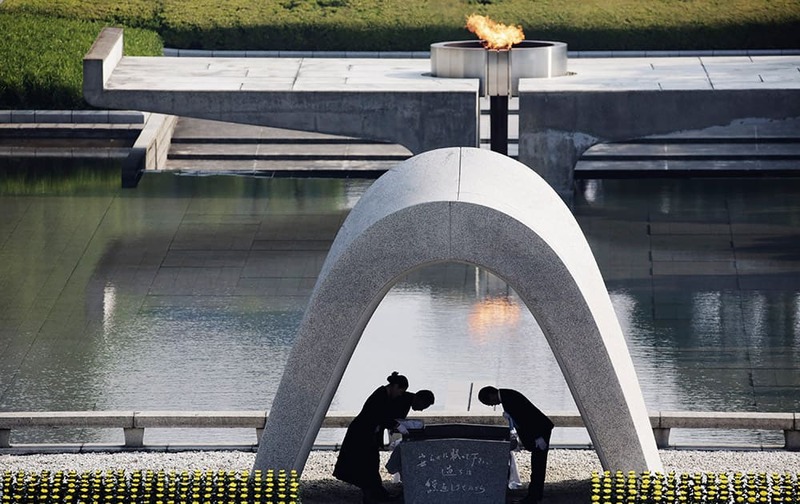 Kazumi Matsui, mayor of Hiroshima, and the family of the deceased bow before they place the victims list of the Atomic Bomb at Hiroshima Memorial Cenotaph during the ceremony to mark the 70th anniversary of the bombing at the Hiroshima Peace Memorial Park in Hiroshima, western Japan. 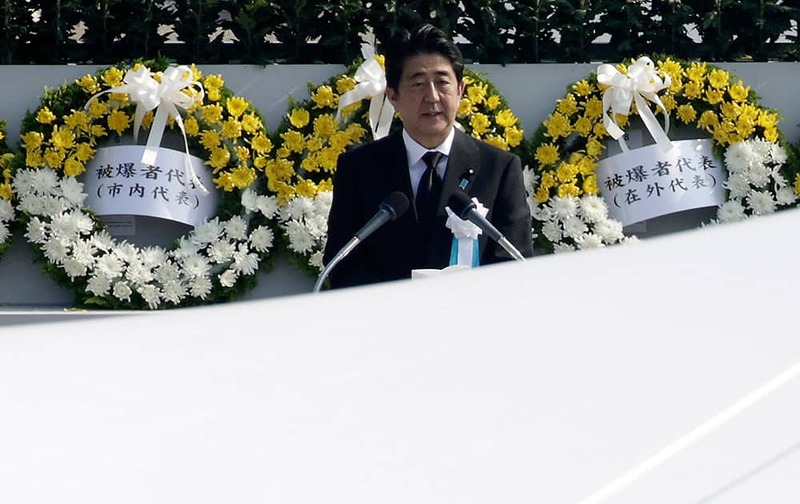 Japanese Prime Minister Shinzo Abe delivers a speech during the ceremony to mark the 70th anniversary of the bombing at the Hiroshima Peace Memorial Park in Hiroshima, western Japan. 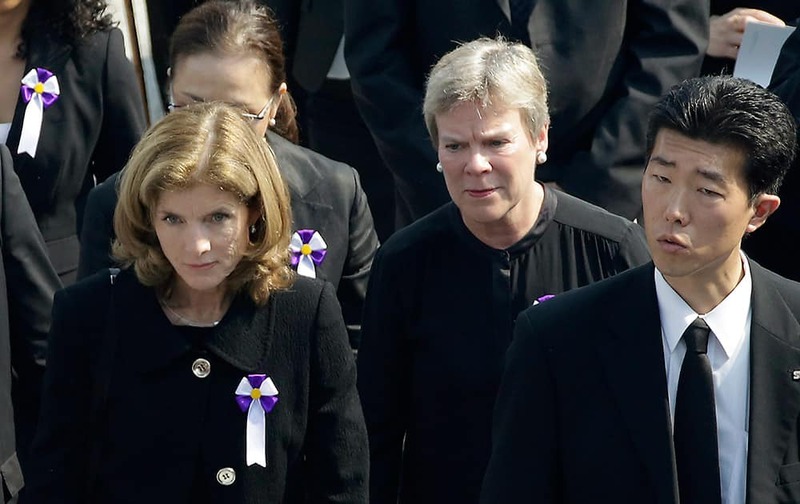 US Under Secretary for Arms Control and International Security Rose Gottemoeller and US Ambassador to Japan Caroline Kennedy, are escorted by a Japanese security guard after the ceremony to mark the 70th anniversary of the bombing at the Hiroshima Peace Memorial Parkin Hiroshima, western Japan. 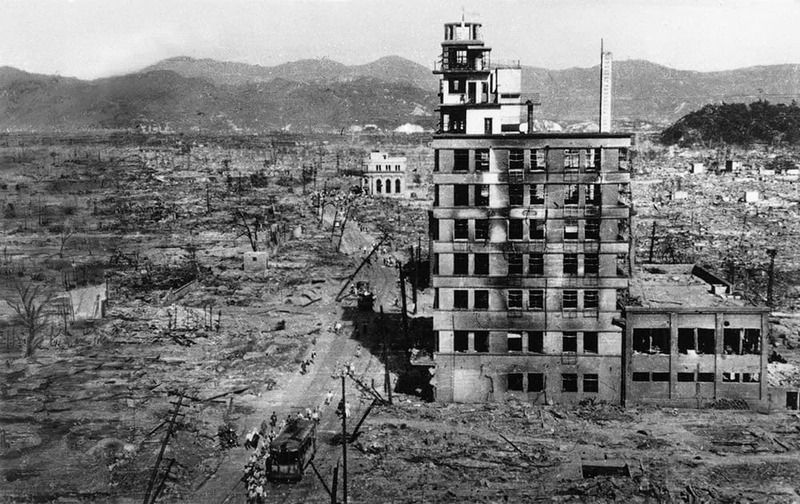 FILE PHOTO - In this Sept. 8, 1945, the shell of a building stands amid acres of rubble in this view of the Japanese city of Hiroshima. On Aug. 6, 1945, a US plane dropped an atomic bomb on Hiroshima, the first nuclear weapon has been used in war. Japan surrendered on Aug. 15, ending World War II. FILE PHOTO - In this Sept. 8, 1945, an allied correspondent stands in the rubble in front of the shell of a building that once was a exhibition center and government office in Hiroshima, Japan, a month after the first atomic bomb ever used in warfare was dropped by the US on Aug. 6, 1945. 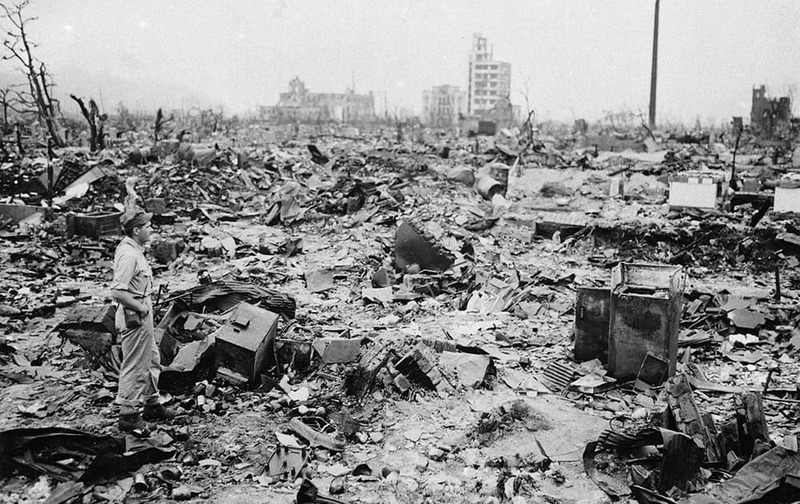 FILE PHOTO - In this Sept. 8, 1945, only a handful of buildings remain standing amid the wasteland of Hiroshima, the Japanese city reduced to rubble following the first atomic bomb to be dropped in warfare, a US plane dropped an atomic bomb on Hiroshima, the first nuclear weapon has been used in war.